The Occupational Safety and Health Administration is collaborating with a number of partner agencies to raise awareness about the dangers of fall accidents in the construction industry. Falls are one of the major causes of worker injuries across the country, and nowhere are workers at a greater risk of falls than in the construction industry. Falls account for more construction industry injuries than any other workplace hazard. Every day, at least two construction workers report to work but never return home. Of all accidents that take place at construction worksites, falls are the deadliest. 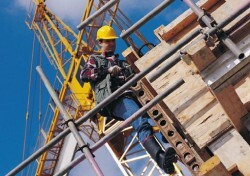 Approximately 35 percent of all fatalities among construction workers in private industry are linked to falls. Just in time for the construction season, the Occupational Safety and Health Administration and the National Institute for Occupational Safety and Health recently announced the relaunch of a campaign to prevent falls at construction sites. These two agencies are partnering with the Center for Construction Research and Training to educate contractors as well as workers about the serious risks facing workers on construction sites and to encourage strategies to help reduce the risk of such falls. The campaign includes a website aimed at educating contractors about their responsibilities and obligation to provide a safe, fall-proof environment for workers. Construction workers who are not aware of their rights can visit this website to understand the strategies that employers, supervisors and managers can use to reduce the risk of fall accidents. The Occupational Safety and Health Administration is encouraging all construction industry employers to get involved in the campaign. It is targeting workers through posters and Facebook pages and photos, as well as company safety newsletters.